"If you wanna get crazy, we can get crazy.."
That moment when you trying to sound tough, but come across as doing a Christopher Walken impression. �US� is no horror masterpiece, but does not waste an excellent concept in terms of execution and the talent involved. The film creeps into your thoughts long after leaving the cinema and already that�s an achievement. 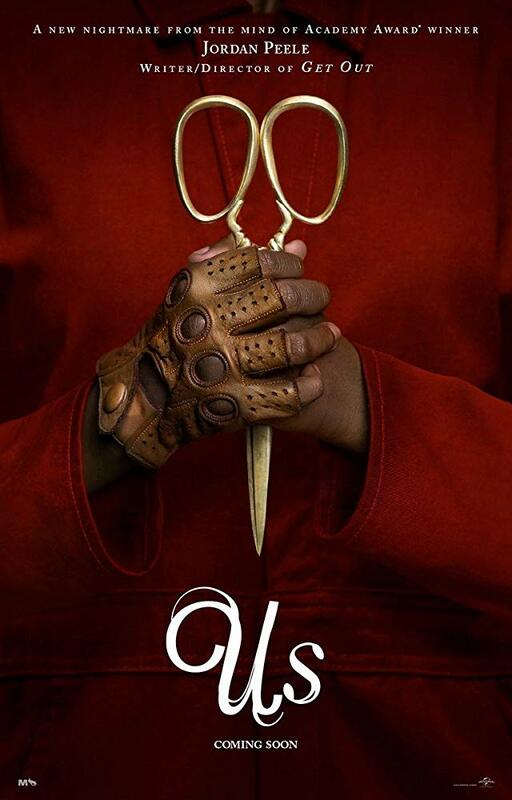 This is Jordan Peele�s second feature movie that takes a horror trope of a family in peril and goes �but what if...�. While the movie dose stick with you long after it�s done, you slowly reflect on things that don�t make sense when given some thought. However, I will take original concepts any day. Jordan Peele is quickly becoming a modern horror master. Get Out was both a scathing take down of race relations in America as it was a harrowing tale of survival. With Us, Peele does the same thing for class warfare, while upping the horror quotient to once again deliver a unique experience - and a disturbing one at that. No posts have been made on this movie yet. Be the first to start talking about Us!